Double Rainbouu's Mikey Nolan and Toby Jones are perhaps best known for their quirky Hawaiian shirts but for Spring '19 they've expanded their offering to include athleisure-inspired styles like these 'EZ' track pants. This pair is made from cotton-fleece that's been pre-washed to prevent shrinkage. 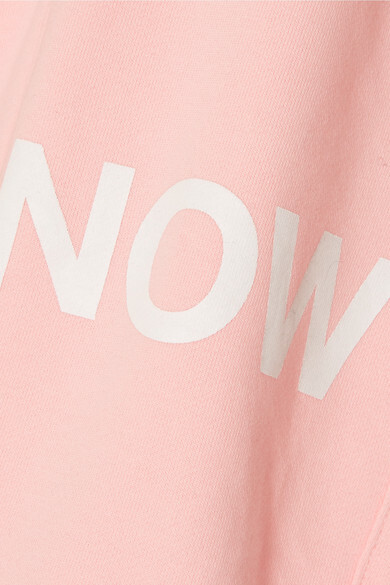 Printed with the words 'Out' and 'Now' in white lettering, they will match this hoodie perfectly. Shown here with: Burberry Shoulder bag, rag & bone Slides.